This article first appeared in The Edge Financial Daily, on February 21, 2018. The c-Crown mechanism sits between the mechanical movement and the watch’s display discs. These 10 shutters open to expose photovoltaic cells to charge the battery when it dips below 50%. 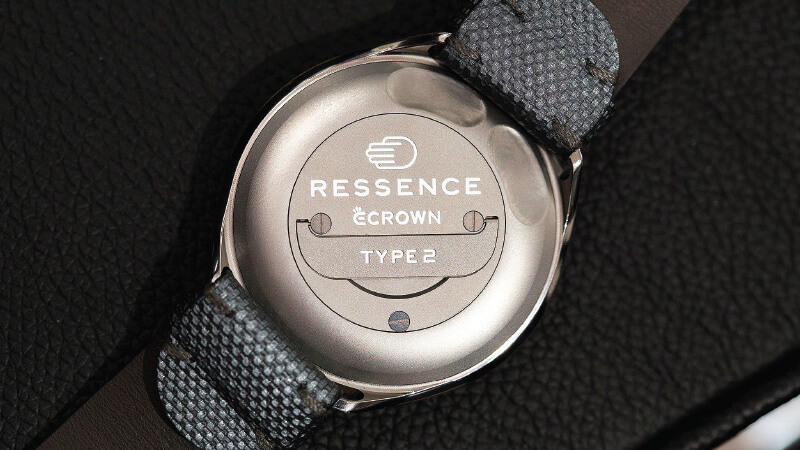 Just a few days before Salon International de la Haute Horlogerie Geneve (SIHH) 2018 officially opened its doors in Geneva, Belgian watch brand Ressence dropped the Type 2 e-Crown Concept, a new mechanical watch. While this concept watch still uses a fully mechanical movement to tell the time, it also contains the new “e-Crown” module, an electronic mechanism used to set the watch and to make sure it always shows the correct time. As we mentioned upon introducing the Type 2 e-Crown Concept, it’s a complex system that bears some real explanation. So, we spoke to Ressence founder Benoit Mintiens and technologist Tony Fadell — founder of Nest and iPod inventor — for the full story of this watch from the two men who created it. 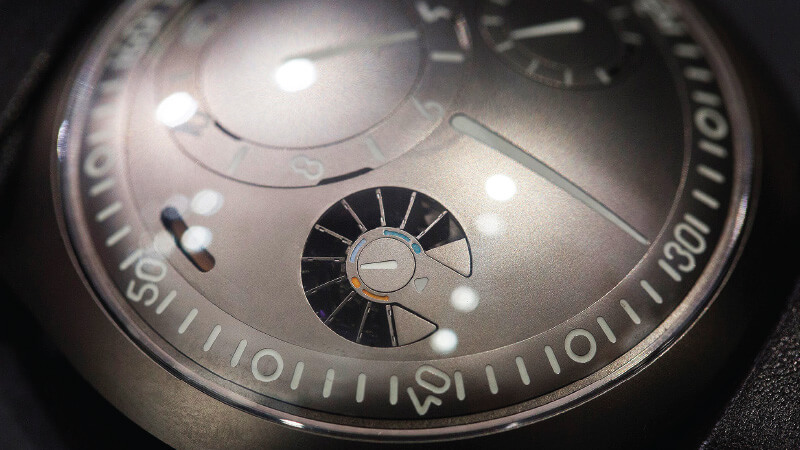 The first question we heard from most people at SIHH when first seeing the e-Crown Concept was, “Wait, is it mechanical?” The answer is a simple, “Yes, 100%.” As Mintiens describes it, in a typical watch the movement is connected directly to the hands. Here, however, the e-Crown technology sits between them. If you don’t ever want to use the e-Crown, you don’t have to and the watch will function just like Ressence’s other mechanical watches. Expanding on that idea, Fadell says he thinks about the e-Crown as taking something that already exists and improving upon it: To him, the e-Crown is like taking a watch winder and placing it inside the watch itself. Instead of having to keep your automatic watch wound to keep it on time, you can rely on the e-Crown to set it back to a digital timekeeping standard as soon as you pick it up and tap on the crystal, even if the power reserve has been completely wound down for some time. It is meant to add convenience and practicality to a mechanical watch, and not to supplant its main functions. Conceptually, the e-Crown is actually pretty straightforward. It’s the details of how it works and how you interact with it as a user that require a little more explanation. For the original descriptions, I was not 100% certain of how it all came together, but after spending some time with the Type 2 e-Crown Concept, it’s all very intuitive. Most importantly, the e-Crown allows the watch to set itself to the correct time after the power has run down. Normally, you would have to manually reset your watch after letting the barrel fully wind down, but the e-Crown checks the position of the hands (or discs) against the digitally registered time and adjusts them to match — just tap on the crystal and you’re good to go. The e-Crown can also adjust the watch on the fly, keeping it accurate to the second and basically making natural daily variation irrelevant. To add something more interactive to the mix, you can set two different time zones and adjust them from within the app. That way, you simply get off your flight, open the app, tap once, and your watch sets itself to your new time zone, accurate to the second. More features could be added in future, but Ressence wanted to keep things tight and purpose-driven to start. All of these additional features require power, just like the mechanical timekeeping functions do. For the e-Crown, the main power reserve is a battery (as you would expect), but there is also a mechanical barrel. The part of the e-Crown that captures kinetic energy first stores that energy in a mechanical barrel. That barrel then rapidly unwinds when it reaches a certain capacity, in turn charging up the battery. To generate electronic energy, a certain burst is needed, so this is really the only efficient solution. Remember, though, one of the ideas here is that the watch can continue keep ing track of the correct time when it is not being worn (and thus wound). To solve this problem, Ressence integrated 10 photovoltaic cells in an array just below a special section of the dial. When the power dips below 50%, a set of shutters on the dial opens up to expose the cells, capturing light and turning it into energy for the e-Crown. It is worth noting that Ressence has not conceived this as a gadget meant to be played with throughout the day. The amount of energy required to check the time and move the discs into a new position is not insignificant, so you cannot sit and adjust the watch over and over without running the battery down. Ressence is not giving an exact battery life, but it is at “normal use”, meaning the watch is adjusting itself no more than a few times per day. While the Type 2 e-Crown Concept shown at SIHH is just that, a concept watch, a production version of the Type 2 is coming later this year. The basic look and feel will likely be very similar to the concept, though there will be aesthetic and technical refinements, a different dial treatment and more. There is no firm pricing at this point, but we are told it should be “similar to that of the Type 3” at US$42,200 (RM164,580). Thinking long term , the implications of this technology could extend well beyond just one brand. There is nothing about the e-Crown technology at its core that restricts it to Ressence watches and the orbital gear system. 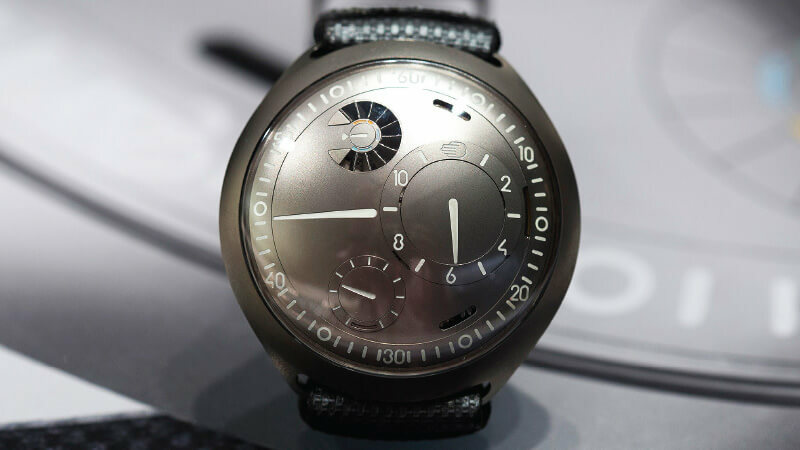 If Ressence were to license this technology to other brands or others were to develop their own similar mechanisms, we could see automatic setting and iPhone or mechanical watch interactions become more mainstream. Originally published by Stephen Pulvirent on Hodinkee.